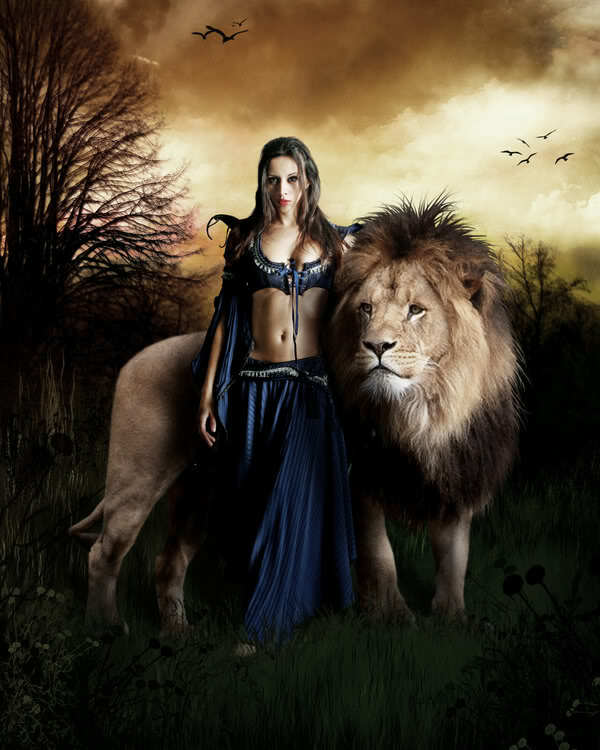 The Leo New Moon on August 9, 2010, fell into my 12th house in sextile to natal Venus in Libra in house 2 and in square to natal Neptune in Scorpio in house 3. In the chart, the 12th house represents the collective unconscious and thus the skeletons we have in our psychic closet, which can be described as unfinished business and often comes in form of karmic lessons and refers to self-undoing. Behind-the-scenes activities and things we aren’t aware of or which are invisible, intangible and otherwise mysterious, elusive or veiled are associated with this area. With my 3rd house Sun ruling over the 12th house in my chart, these secretive and spiritual things are on my daily agenda and also define who I am. At this time in my life, per example, I’m blogging regularly, whereby I synthesize the symbolical languages of astrology and tarot. Call it divination if you will. To me, it’s self-fulfilling, almost therapeutic, in the sense of providing me with a purposeful outlet for my creative longings in an otherwise utterly boring existence. Write or read or communicate and work with data one way or another I MUST, even if it’s just counting the numbers in my head while I’m riding my bike or knitting a shawl. Almost every year in August will the Leo New Moon (or a Virgo New Moon in the early degrees of this sign) highlight this area for me and this last August it happened that the lunation also triggered natal Venus, ruler over houses 3 and 10, and natal Neptune, ruler over houses 7 and 8 in my chart, indicating that my close surroundings and connections together with my reputation would offer opportunities (sextile) for assessment of my talents and self-worth, especially through my relationships (Venus in Libra), while at the same time challenging me (square) to come out of hiding and anonymity (Neptune) to share (Scorpio) my ‘enlightenment’, my awareness and knowledge of universal laws, my attunement to cosmic consciousness (Neptune/12th house) with the locals (3rd house); ideally by way of consulting and counseling (7th and 8th house). So, it was no coincidence (what a phrase! there aren’t any coincidences anyways) that Angie handed me the business card with the personal birth data written on it of a woman she’s acquainted with as I came by her store on one of those first days into the Leo lunation cycle. In fact, I stopped by there after my hair appointment with my mane (Leo) looking nice and shiny from the refreshed highlights and in beautiful shape (Venus-Neptune) thanks to the talents of my hairstylist Tina. My outward appearance was reflecting my inner state. Amazing synchronicities are present all the time if we only pay attention. Angie invited me to join a sacred circle on a day later in the month when the Moon would be almost full. I was thrilled, spending the time until then in eager anticipation and doing chart analyses and researching, while I began to compose a personalized interpretation for this Lady. The interpretations provided by my Solar Fire astrology program don’t appeal to me. Besides, to my surprise I had to find out that the other interpretation files (for progressions, transits, solar returns etc.) wouldn’t open when I clicked on them and when I tried it via the Solar Fire User Files Folder I have downloaded I wasn’t able to read them. Since I’m not well versed in computer technology I have no idea what to do about this. Some time ago, I was already looking into other report writers. I might have to add this to my wish list. Mercury was already in his shadow phase, which had caused me quite a bit of consternation regarding Mercury-related things and issues. 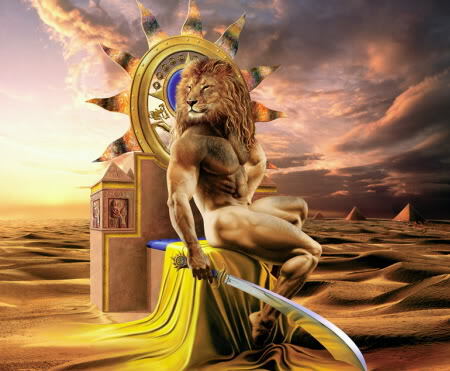 Anyway, the Sabian Symbol for the Leo New Moon stated: “A chemist conducts an experiment for his students – keynote: in inquiring into the hidden process of nature, the human mind experiences the thrill of discovery – alchemy”. Experimentation was certainly the order of the day for me. For instance, I explored the OneNoteNotebook feature provided by Microsoft Office, which I find really neat. This too made me think that I’d need a “computer tour” and I mean offered by a person, who can guide me through this techno jungle. Well, yes, with Neptune placed in my 3rd house, I’m also a day-dreamer who is inclined toward wishful thinking! I moreover managed to sort my computer files, something I SHOULD HAVE done a long time ago. Consequently, I experienced one of those enlightening moments when I had to realize that I’m not as orderly and organized as I’m inclined to think. I also don’t know why I keep certain documents on file. Am I unable to close these chapters of my life? Or is it based on my uncertainty in regard to the usefulness of this information? Mercury is placed natally in my 4th house with Pluto as overlord – my mother still has the attic stuffed with things someone could eventually need at some time. During her last call she told me that she has finally decided to clean that area out. Perfect timing, Mom! At the time of the First Quarter Moon on August 16 with the waxing Scorpio Moon squaring off the Leo Sun, the resultant “crisis in action” then referred to the real alchemy through testing our creative theories in practice, in particular so with the Jupiter-Saturn opposition resonating strongly in the background at this peak in their 20-year cycle. The Scorpio Moon was conjunct my natal Sun and the Leo Sun in square to it, marking an important time in the personal solar year that called for “the need to incorporate inspiring experiences and teachings into everyday living” (keynote of the Sabian Symbol for the Scorpio Moon) based on “an interior focalization of energies and consciousness in form of total concentration” (keynote of the Sabian Symbol for the Leo Sun). I was indeed deeply involved in this process, while my confidence was growing with every day that passed and with more people showing an interest. All I needed to do was to get ready for my own astro practice. 10 years had passed (halfway in the Jupiter-Saturn cycle) since I had moved over here with my daughter and had not only the opportunity to study astrology, but also adapted a new life philosophy, which assisted me greatly in building my character as I gained insight into my own nature. This didn’t happen without me undergoing a process of mental transformation, a promise of my horoscope blueprint. Like every other seed, I grew into my potential during cycles of becoming and my growth has now reached a state, where I have to integrate (opposition) those inspiring experiences and teachings into a more real form (Jupiter-Saturn) by turning a ‘hobby’ into a vocation. On the evening prior to the Pisces Full Moon did I participate in a powerful and memorable, collective experience by joining the sacred circle, made up of other “Lightworkers” and Seekers, among them the Lady for whom I had prepared the chart analysis. Unfortunately, I didn’t have an opportunity to talk to her, because I have been approached by other Ladies, who were asking about my blog and for my business card. Of course, I didn’t have a business card to show – I hadn’t even started the astro business yet and with Mercury in retrograde motion at the culmination time in the lunation cycle the timing wasn’t right yet – the emphasis was on reflection, withdrawal and letting go. Although I gave out my phone number and e-mail address I haven’t heard from anyone, except for receiving a chainmail. Other than that, the experience was incredibly uplifting and ‘inspiriting’. I woke the next morning way too early with a ‘humming’ sound originating from a spot close to the top of my head. Due to the lack of sleep and J’s agitation that morning, which gave me a headache, I went back to bed for my “Self-protection” (keynote of the Sabian Symbol for the Pisces Moon). My subsequent ‘recuperation’ truly felt like a “liberating ordeal” (keynote of the Sabian Symbol for the Virgo Sun) I’ve been since then integrating in my daily routine when I feel overly tired or drained. In the meantime, a few people have asked for my business card, which stimulated some serious thinking on my part about how to arrange this space here for consultation purposes and what I need to do to start an astro business. Accordingly, the “crisis in consciousness”, presented by the waning Gemini Moon’s square to the Virgo Sun on September 1, saw me struggling with matters concerning mobility and flexibility I wasn’t able to resolve with Mercury as ruler over the Sun and the Moon in retrograde motion and the Gemini Moon in opposition to my natal Mercury and the Virgo Sun in square to it. So far, I’ve had only one opportunity to look at furniture and purchase a few accessories I want to use to redecorate this room. Because I didn’t find a suitable cabinet yet, I couldn’t empty the desk and the file cabinet, even though J could’ve taken it to his shop. Not to mention that he is overly busy there sorting, cleaning, taking apart cars and cataloging parts, which means that he hasn’t done anything around here. Consequently, I’m basically ‘stuck’ in this immovable situation, but there was a shimmer of hope when a new friend called and asked for my astrological advice. He also offered to assist me in case I need something picked up and delivered. However, I haven’t heard from him all week, because he’s up north and Mercury is still retrograde.